Dennis grew up in Chippewa Falls, Wisconsin. After graduating from college Dennis went to work for Marriott Hotels and Resorts for over 15 years. He worked in Minneapolis, Chicago, Vail and then in Portland, Oregon with Marriott. Dennis was Food and Beverage Director for many years and then Director of Operations. Customer service training with the staff was one of his responsibilities. In Portland he met Susan, and a few years later they were married. Susan grew up in Issaquah, Washington. After Susan graduated from Washington State University, she went to work for Marriott Hotels in Irvine California and then Portland, Oregon. She was responsible for the front office and then the reservation sales department. While growing up, Susan spent several weeks a year with her family on their sailboat traveling the Inside Passage and various areas of Alaska and Washington. They finally decided that Elfin Cove was a perfect area to spend most of their vacation time since the area had a super abundance of fish moving through the passes and was close enough to the ocean so that fishing would always be strong, so her father bought a lot and built a cabin. Susan and Dennis would go up each summer and either commercial or sport fish with her father and her brother Jim. 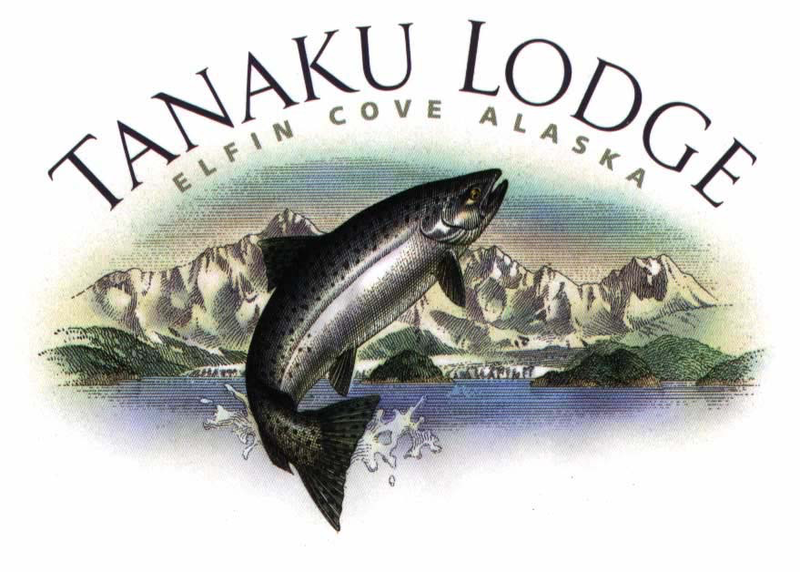 Eventually they fell in love with the area and decided to buy Tanaku Lodge and leave the corporate world behind them. Dennis and Susan Meier have three children that come to Elfin Cove during the summer months. You will notice Haley, Hayden and Hannah down on the dock fishing or in the water swimming. They love to catch fish and play with starfish. They also like to see the fish you caught before they head home in the evening. 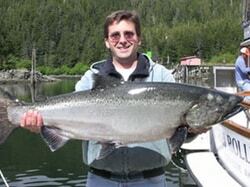 Jim has been fishing and exploring the waters of Southeast Alaska since 1980. He first came to Alaska as a small boy with his father to explore the land where his ancestors spent much of their lives. Jim's great grandfather was a miner during the gold rush years traveling all over the state and his great grandmother was the first school teacher in Dutch Harbor. 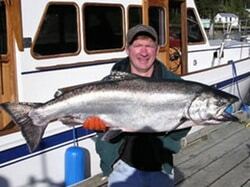 After falling in love with Alaska Jim began fishing for a living and has done so for the last twelve years. Jim guides daily and may be one of your captains during your stay. 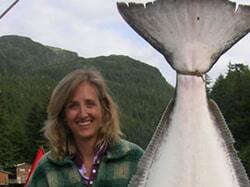 Christy joined Jim in 1993 and continued to chase salmon, halibut and blackcod throughout Southeast Alaska. Christy took to the wilderness lifestyle and proved to be a competitive and productive fisherman. You may see her around the lodge, but she now spends most of her time raising a family. Jim and Christy eventually settled in Elfin Cove. After many long Alaskan winters they started a family. 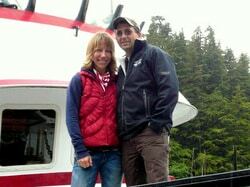 Jim and Christy are delighted to raise a family and own a business in the wilderness of Alaska. In 1995 Jim and Christy partnered with Dennis and Susan Meier to own and operate Tanaku Lodge. Susan Meier is Jim Benton's sister, so you can see it truly is a family owned and operated business.